So, I admit it: I love technical SEO audits. Some of you may cringe at the thought of combing through a site for potential architecture issues, but it’s one of my favorite activities—an SEO treasure hunt, if you will. For normal people, the overall site audit process can be daunting and time-consuming, but with tools like the Screaming Frog SEO Spider, the task can be made easier for newbs and pros alike. With a very user-friendly interface, Screaming Frog can be a breeze to work with, but the breadth of configuration options and functionality can make it hard to know where to begin. With that in mind, I put together this comprehensive guide to Screaming Frog to showcase the various ways that SEO, PPC and other marketing folks can use the tool for site audits, keyword research, competitive analysis, link building and more! I want to identify all of the pages that include meta directives e.g. : nofollow/noindex/noodp/canonical etc. By default, Screaming Frog only crawls the subdomain that you enter. Any additional subdomains that the spider encounters will be viewed as external links. In order to crawl additional subdomains, you must change the settings in the Spider Configuration menu. 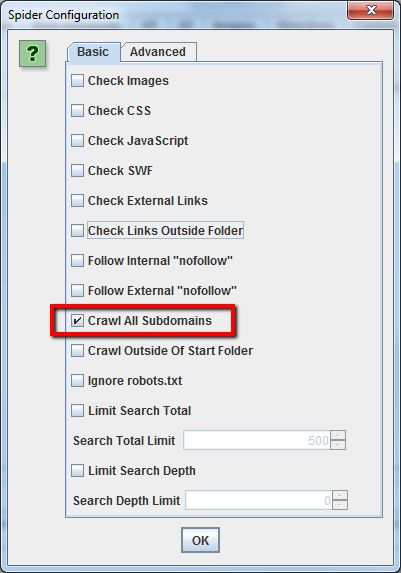 By checking ‘Crawl All Subdomains’, you will ensure that the spider crawls any links that it encounters to other subdomains on your site. If you wish limit your crawl to a single folder, simply enter the URL and press start without changing any of the default settings. If you’ve overwritten the original default settings, reset the default configuration within the ‘File’ menu. 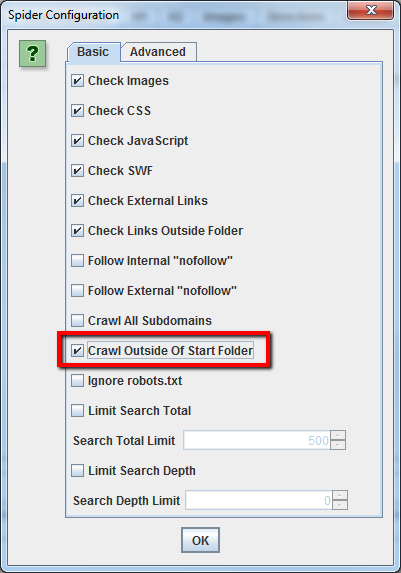 If you wish to start your crawl in a specific folder, but want to continue crawling to the rest of the subdomain, be sure to select ‘Crawl Outside Of Start Folder’ in the Spider Configuration settings before entering your specific starting URL. If you wish to limit your crawl to a specific set of subdomains or subdirectories, you can use RegEx to set those rules in the Include or Exclude settings in the Configuration menu. 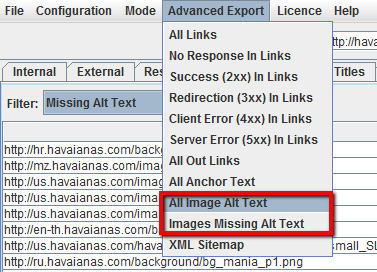 In this example, we crawled every page on havaianas.com excluding the ‘about’ pages on every subdomain. 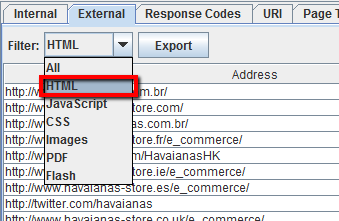 In the example below, we only wanted to crawl the English-language subdomains on havaianas.com. Enter the money site URL into DomEye, then click the links in the top table to find sites that share the same IP address, nameservers, or GA code. Next, press ‘Scrape’ and then ‘Export to Google Docs.’ From the Google Doc, you can then download the list as a .csv file. Upload the .csv file to Screaming Frog, then use ‘List’ mode to check the list of URLs. When the spider is finished, you’ll see the status codes in the ‘Internal’ tab, or you can look in the ‘Response Codes’ tab and filter by ‘Redirection’ to view all of the domains that are being redirected to your money site or elsewhere. NB: When uploading the .csv into Screaming Frog, you must select ‘CSV’ as the filetype, otherwise the program will close in error. You can also use this method to identify domains that your competitors own, and how they are being used. Check out what else you can learn about competitor sites below. How to find all of the subdomains on a site and verify internal links. Enter the root domain URL into ReverseInternet, then click on the ‘Subdomains’ tab to view a list of subdomains. 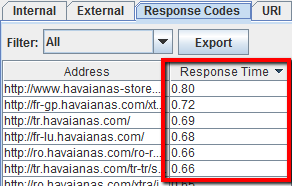 Export your results into a CSV, then load the CSV into Screaming Frog using ‘List’ mode. Once the spider has finished running, you’ll be able to see status codes, as well as any links on the subdomain homepages, anchor text and duplicate page titles among other things. Until recently, you might have found that your crawls timed out on large sites, however with Screaming Frog Version 2.11, you can tell the program to pause on high memory usage. This fail-safe setting helps to keep the program from crashing before you have the opportunity to save the data or increase the memory allocation. 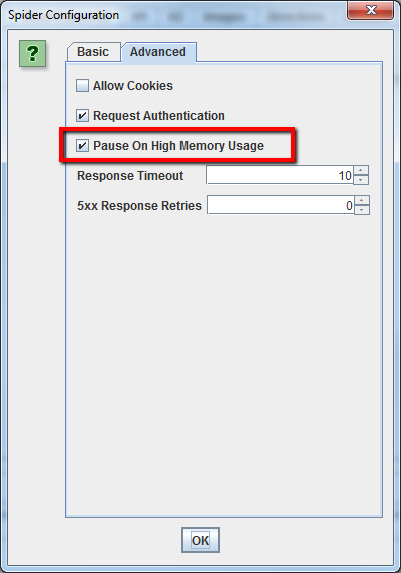 This is currently a default setting, but if you are planning on crawling a large site, be sure that ‘Pause On High Memory Usage’ is checked in the ‘Advanced’ tab of Spider Configuration menu. In some cases, older servers may not be able to handle the default number of URL requests per second. 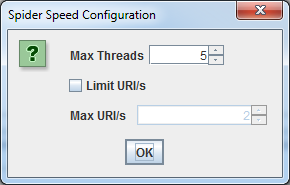 To change your crawl speed, choose ‘Speed’ in the Configuration menu, and in the pop-up window, select the maximum number of threads that should run concurrently. From this menu, you can also choose the maximum number of URLs requested per second. 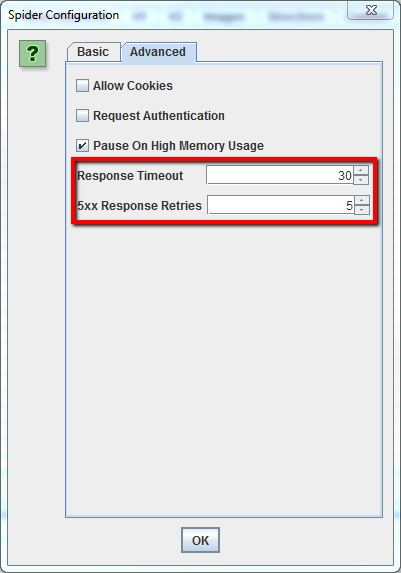 If you find that your crawl is resulting in a lot of server errors, go to the ‘Advanced’ tab in the Spider Configuration menu, and increase the value of the ‘Response Timeout’ and of the ‘5xx Response Retries’ to get better results. Although search bots don’t accept cookies, if you are crawling a site and need to allow cookies, simply select ‘Allow Cookies’ in the ‘Advanced’ tab of the Spider Configuration menu. 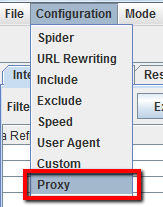 To crawl using a proxy, select ‘Proxy’ in the ‘Configuration’ menu, and enter your proxy information. To crawl using a different user agent, select ‘User Agent’ in the ‘Configuration’ menu, then select a search bot from the drop-down or type in your desired user agent strings. When the Screaming Frog spider comes across a page that is password-protected, a pop-up box will appear, in which you can enter the required username and password. 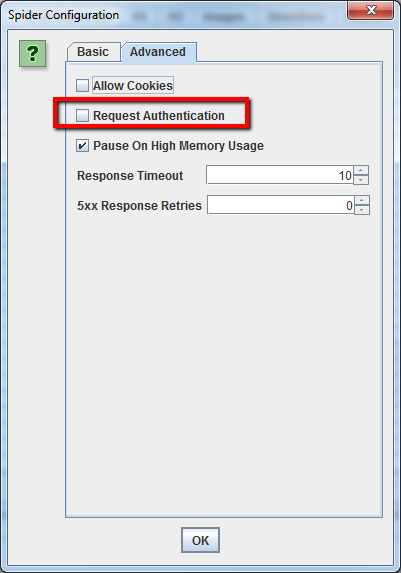 In order to turn off authentication requests, deselect ‘Request Authentication’ in the ‘Advanced’ tab of the Spider Configuration menu. 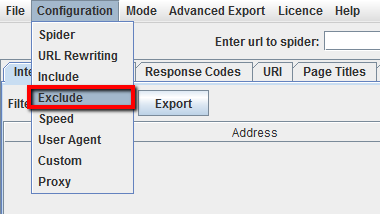 Once the spider has finished crawling, use the Advanced Export menu to export a CSV of ‘All Links’. This will provide you with all of the link locations, as well as the corresponding anchor text, directives, etc. For a quick tally of the number of links on each page, go to the ‘Internal’ tab and sort by ‘Outlinks’. Anything over 100, might need to be reviewed. Need something a little more processed? Check out this tutorial on visualizing internal link data with pivot tables by @JoshuaTitsworth and this one about using NodeXL with Screaming Frog to visualize your internal link graph by @aleyda. Once the spider has finished crawling, sort the ‘Internal’ tab results by ‘Status Code’. Any 404’s, 301’s or other status codes will be easily viewable. Upon clicking on any individual URL in the crawl results, you’ll see information change in the bottom window of the program. By clicking on the ‘In Links’ tab in the bottom window, you’ll find a list of pages that are linking to the selected URL, as well as anchor text and directives used on those links. You can use this feature to identify pages where internal links need to be updated. 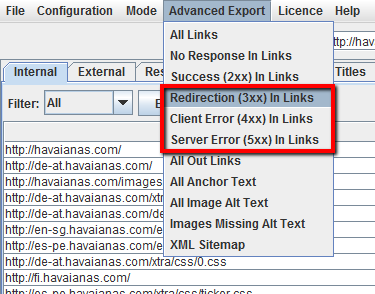 To export the full list of pages that include broken or redirected links, choose ‘Redirection (3xx) In Links’ or ‘Client Error (4xx) In Links’ or ‘Server Error (5xx) In Links’ in the ‘Advanced Export’ menu, and you’ll get a CSV export of the data. After the spider is finished crawling, click on the ‘External’ tab in the top window, sort by ‘Status Code’ and you’ll easily be able to find URLs with status codes other than 200. Upon clicking on any individual URL in the crawl results and then clicking on the ‘In Links’ tab in the bottom window, you’ll find a list of pages that are pointing to the selected URL. 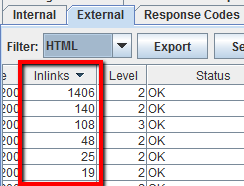 You can use this feature to identify pages where outbound links need to be updated. 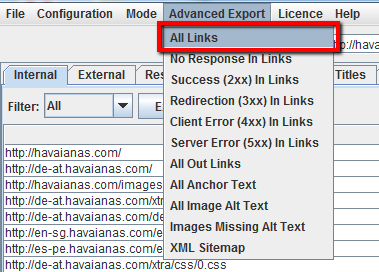 For a complete listing of all the locations and anchor text of outbound links, select ‘All Out Links’ in the ‘Advanced Export’ menu, then filter the ‘Destination’ column in the exported CSV to exclude your domain. After the spider has finished crawling, select the ‘Response Codes’ tab in the top window, then filter by ‘Redirection (3xx)’. 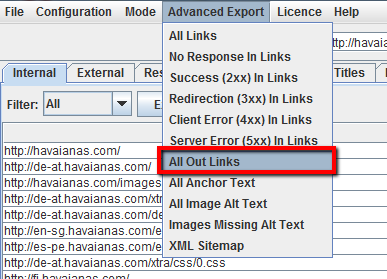 This will provide you with a list of any internal links and outbound links that are redirecting. Sort by ‘Status Code’, and you’ll be able to break the results down by type. Click on the ‘In Links’ tab in the bottom window to view all of the pages where the redirecting link is used. If you export directly from this tab, you will only see the data that is shown in the top window (original URL, status code, and where it redirects to). 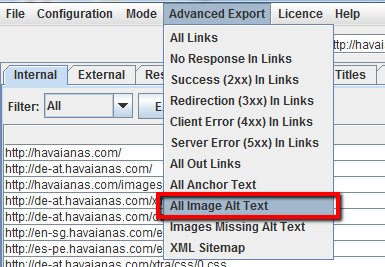 To export the full list of pages that include redirected links, you will have to choose ‘Redirection (3xx) In Links’ in the ‘Advanced Export’ menu. This will return a CSV that includes the location of all your redirected links. To show internal redirects only, filter the ‘Destination’ column in the CSV to include only your domain. Use a VLOOKUP between the 2 export files above to match the Source and Destination columns with the final URL location. Need to find and fix redirect chains? @dan_shure gives the breakdown on how to do it here. 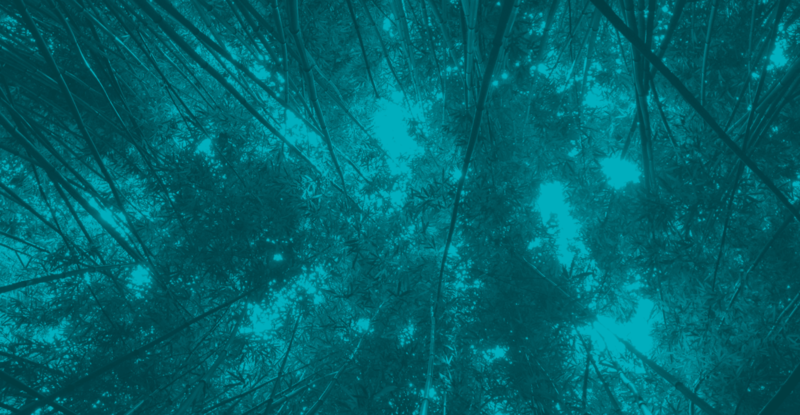 Scaling Internal Link Building with Screaming Frog & Majestic by @JHTScherck. ‘Nuff said. After the spider has finished crawling, go to the ‘Internal’ tab, filter by HTML, then scroll to the right to the ‘Word Count’ column. Sort the ‘Word Count’ column from low to high to find pages with low text content. You can drag and drop the ‘Word Count’ column to the left to better match the low word count values to the appropriate URLs. Click ‘Export’ in the ‘Internal’ tab if you prefer to manipulate the data in a CSV instead. If you’ve already crawled a whole site or subfolder, simply select the page in the top window, then click on ‘Image Info’ tab in the bottom window to view all of the images that were found on that page. The images will be listed in the ‘To’ column. 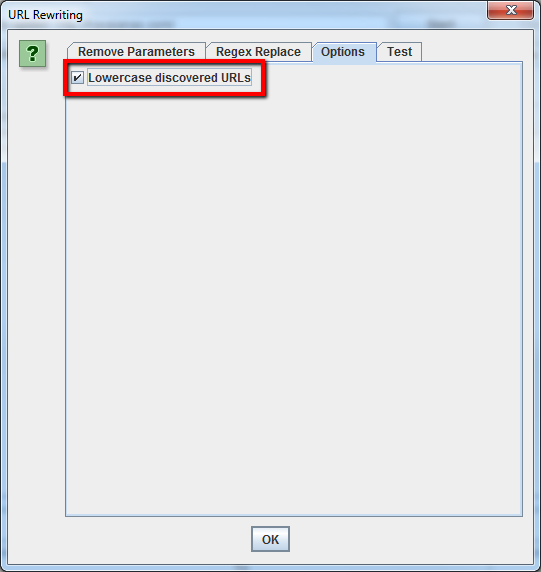 Right click on any entry in the bottom window to copy or open a URL. Alternately, you can also view the images on a single page by crawling just that URL. Make sure that your crawl depth is set to ‘1’ in the Spider Configuration settings, then once the page is crawled, click on the ‘Images’ tab, and you’ll see any images that the spider found. Finally, if you prefer a CSV, use the ‘Advanced Export’ menu to export ‘All Image Alt Text’ to see the full list of images, where they are located and any associated alt text. First, you’ll want to make sure that ‘Check Images’ is selected in the Spider Configuration menu. After the spider has finished crawling, go to the ‘Images’ tab and filter by ‘Missing Alt Text’ or ‘Alt Text Over 100 Characters’. You can find the pages where any image is located by clicking on the ‘Image Info’ tab in the bottom window. The pages will be listed in the ‘From’ column. Alternately, in the ‘Advanced Export’ menu, you can save time and export, ‘All Image Alt Text’ or ‘Images Missing Alt Text’ into a CSV. The resulting file will show you all of the pages where each image is used on the site. In the Spider Configuration menu, select ‘Check CSS’ before crawling, then when the crawl is finished, filter the results in the ‘Internal’ tab by ‘CSS’. 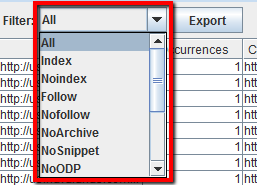 Alternately, you can use the ‘Advanced Export’ menu to export a CSV of ‘All Links’ and filter the ‘Destination’ column to show only URLs with ‘jquery’. Not all jQuery plugins are bad for SEO. If you see that a site uses jQuery, the best practice is to make sure that the content that you want indexed is included in the page source and is served when the page is loaded, not afterward. If you are still unsure, Google the plugin for more information on how it works. In the Spider Configuration menu, select ‘Check SWF’ before crawling, then when the crawl is finished, filter the results in the ‘Internal’ tab by ‘Flash’. After the spider has finished crawling, filter the results in the ‘Internal’ tab by ‘PDF’. If you want to find pages on your site that contain a specific type of content, set a custom filter for an HTML footprint that is unique to that page. This needs to be set *before* running the spider. @stephpchang has a great tutorial on segmenting syndicated content from original content using custom filters. To find pages that contain social sharing buttons, you’ll need to set a custom filter before running the spider. 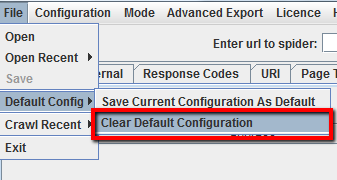 To set a custom filter, go into the Configuration menu and click ‘Custom’. From there, enter any snippet of code from the page source. In the example above, I wanted to find pages that contain a Facebook ‘like’ button, so I created a filter for http://www.facebook.com/plugins/like.php. 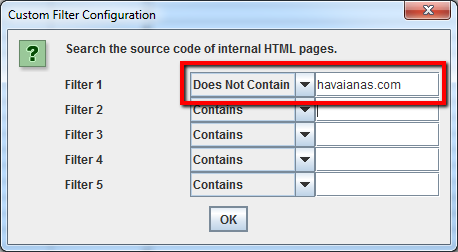 To find pages that use iframes, set a custom filter for <iframe before running the spider. To find pages that contain embedded video or audio content, set a custom filter for a snippet of the embed code for Youtube, or any other media player that is used on the site. After the spider has finished crawling, go to the ‘Page Titles’ tab and filter by ‘Over 70 Characters’ to see the page titles that are too long. You can do the same in the ‘Meta Description’ tab or in the ‘URI’ tab. After the spider has finished crawling, go to the ‘Page Titles’ tab, then filter by ‘Duplicate’. You can do the same thing in the ‘Meta Description’ or ‘URI’ tabs. 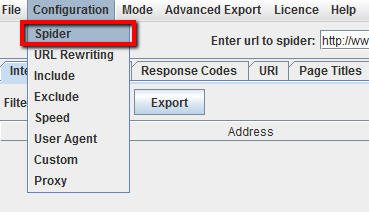 After the spider has finished crawling, go to the ‘URI’ tab, then filter by ‘Underscores’, ‘Uppercase’ or ‘Non ASCII Characters’ to view URLs that could potentially be rewritten to a more standard structure. Filter by ‘Duplicate’ and you’ll see all pages that have multiple URL versions. Filter by ‘Dynamic’ and you’ll see URLs that include parameters. 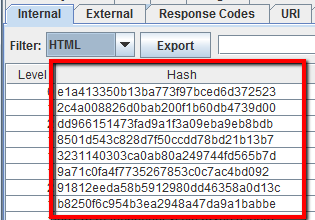 Additionally, if you go to the ‘Internal’ tab, filter by ‘HTML’ and scroll the to ‘Hash’ column on the far right, you’ll see a unique series of letters and numbers for every page. If you click ‘Export’, you can use conditional formatting in Excel to highlight the duplicated values in this column, ultimately showing you pages that are identical and need to be addressed. How to identify all of the pages that include meta directives e.g. : nofollow/noindex/noodp/canonical etc. By default, Screaming Frog will comply with robots.txt. 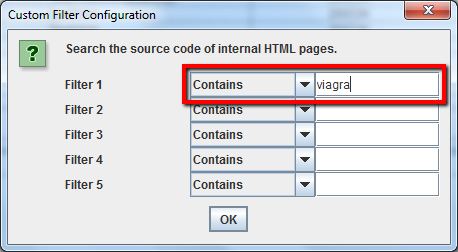 As a priority, it will follow directives made specifically for the Screaming Frog user agent. If there are no directives specifically for the Screaming Frog user agent, then the spider will follow any directives for Googlebot, and if there are no specific directives for Googlebot, the spider will follow global directives for all user agents. The spider will only follow one set of directives, so if there are rules set specifically for Screaming Frog it will only follow those rules, and not the rules for Googlebot or any global rules. If you wish to block certain parts of the site from the spider, use the regular robots.txt syntax with the user agent ‘Screaming Frog SEO Spider’. If you wish to ignore robots.txt, simply select that option in the Spider Configuration settings. To find every page that contains Schema markup or any other microdata, you need to use custom filters. Simply click on ‘Custom’ in the Configuration Menu and enter the footprint that you are looking for. To find a specific type of markup, you’ll have to be more specific. For example, using a custom filter for ‹span itemprop=”ratingValue”› will get you all of the pages that contain Schema markup for ratings. You can enter up to 5 different filters per crawl. Finally, press OK and proceed with crawling the site or list of pages. When the spider has finished crawling, select the ‘Custom’ tab in the top window to view all of the pages that contain your footprint. If you entered more than one custom filter, you can view each one by changing the filter on the results. 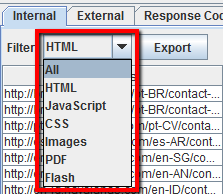 After the spider has finished crawling your site, click on the ‘Advanced Export’ menu and select ‘XML Sitemap’. 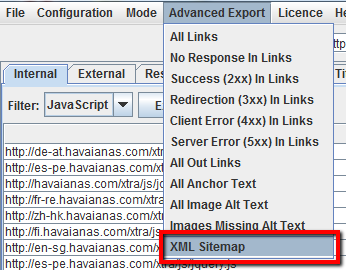 Save your sitemap, then open it with Excel. Select ‘Read Only’ and open the file ‘As an XML table’. 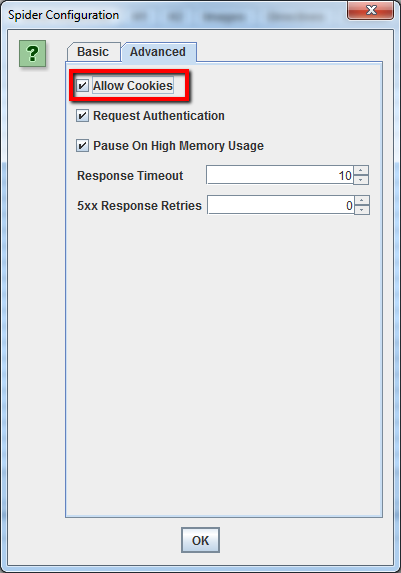 You may receive an alert that certain schema cannot be mapped to a worksheet. Just press ‘Yes’. Now that your Sitemap is in table form, you can easily edit the change frequency, priority and other values. Be sure to double-check that the Sitemap only includes a single, preferred (canonical) version of each URL, without parameters or other duplicating factors. 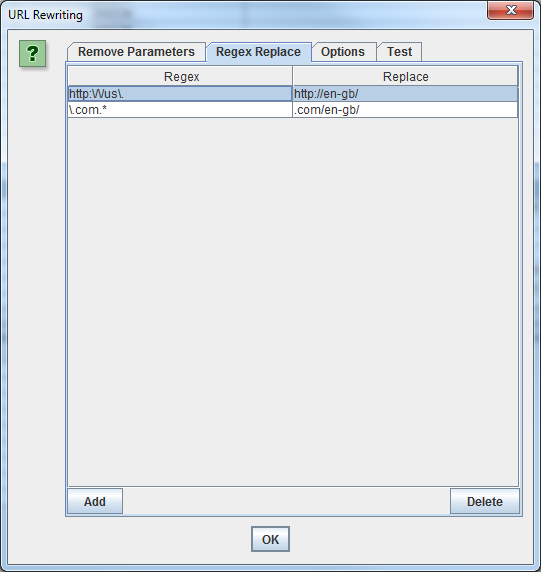 Once any changes have been made, re-save your file as an XML file. Once you have the XML file saved to your computer, go to the ‘Mode’ menu in Screaming Frog and select ‘List’. Then, click on ‘Select File’ at the top of the screen, choose your file and start the crawl. Once the spider has finished crawling, you’ll be able to find any redirects, 404 errors, duplicated URLs and more “Sitemap dirt” in the ‘Internal’ tab. Wondering why certain pages aren’t being indexed? First, make sure that they weren’t accidentally put into the robots.txt or tagged as noindex. Next, you’ll want to make sure that spiders can reach the pages by checking your internal links. Once the spider has crawled your site, simply export the list of internal URLs as a .CSV file, using the ‘HTML’ filter in the ‘Internal’ tab. Open up the CSV file, and in a second sheet, paste the list of URLs that aren’t being indexed or aren’t ranking well. Use a VLOOKUP to see if the URLs in your list on the second sheet were found in the crawl. If you really want to be fancy, try using my Pages Not Indexed Google Doc/Excel tool, which, in a couple of minutes, can provide you with the possible reasons why particular pages aren’t indexed or ranking. @ipullrank has an excellent Whiteboard Friday on this topic, but the general idea is that you can use Screaming Frog to check whether or not old URLs are being redirected by using the ‘List’ mode to check status codes. If the old URLs are throwing 404’s, then you’ll know which URLs still need to be redirected. 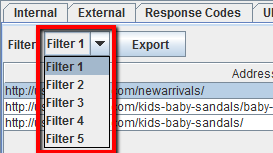 After the spider has finished crawling, go to the ‘Response Codes’ tab and sort by the ‘Response Time’ column from high to low to find pages that may be suffering from a slow loading speed. First, you’ll need to identify the footprint of the malware or the spam. Next, in the Configuration menu, click on ‘Custom’ and enter the footprint that you are looking for. You can enter up to 5 different footprints per crawl. Finally, press OK and proceed with crawling the site or list of pages. SEER Analytics star @RachaelGerson wrote a killer post on this subject: Use Screaming Frog to Verify Google Analytics Code. Check it out! Save your list in .txt or .csv format, then change your ‘Mode’ settings to ‘List’. Next, select your file to upload, and press ‘Start’. See the status code of each page by looking at the ‘Internal’ tab. To check if your pages contain your GA code, check out this post on using custom filters to verify Google Analytics code by @RachaelGerson. So, you’ve harvested a bunch of URLs, but you need more information about them? Set your mode to ‘List’, then upload your list of URLs in .txt or .csv format. After the spider is done, you’ll be able to see status codes, outbound links, word counts, and of course, meta data for each page in your list. First, you’ll need to identify the footprint. Next, in the Configuration menu, click on ‘Custom’ and enter the footprint that you are looking for. You can enter up to 5 different footprints per crawl. Finally, press OK and proceed with crawling the site or list of pages. In the example below, I wanted to find all of the pages that say ‘Please Call’ in the pricing section, so I found and copied the HTML code from the page source. If you are pulling product data from a client site, you could save yourself some time by asking the client to pull the data directly from their database. The method above is meant for sites that you don’t have direct access to. 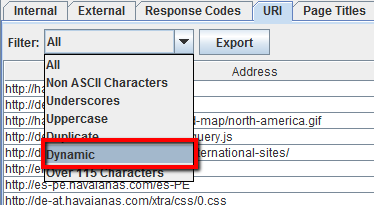 To identify URLs with session ids or other parameters, simply crawl your site with the default settings. When the spider is finished, click on the ‘URI’ tab and filter to ‘Dynamic’ to view all of the URLs that include parameters. 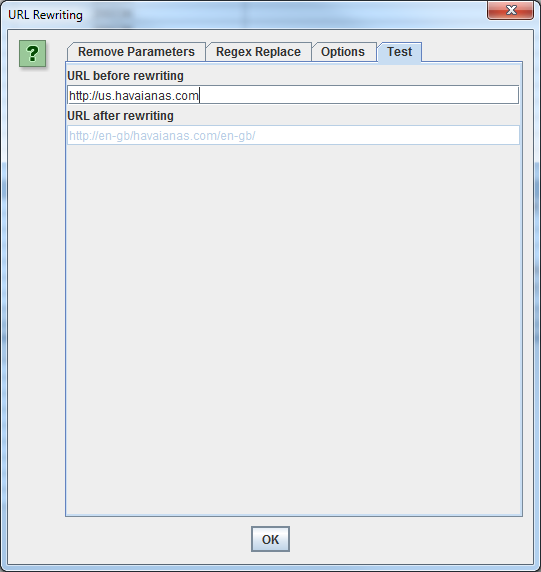 To remove parameters from being shown for the URLs that you crawl, select ‘URL Rewriting’ in the configuration menu, then in the ‘Remove Parameters’ tab, click ‘Add’ to add any parameters that you want removed from the URLs, and press ‘OK.’ You’ll have to run the spider again with these settings in order for the rewriting to occur. 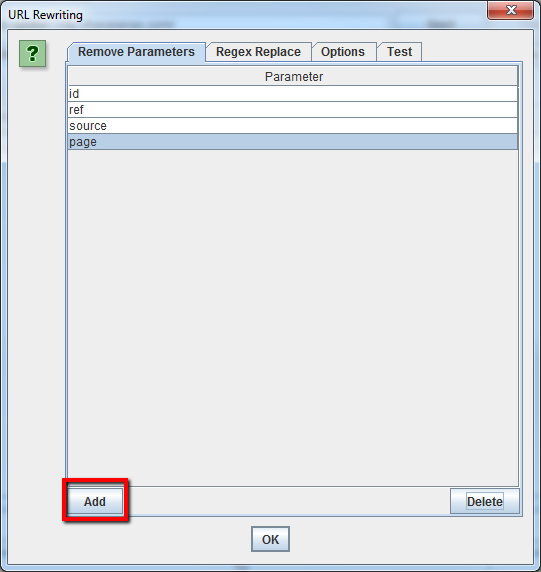 To rewrite any URL that you crawl, select ‘URL Rewriting’ in the Configuration menu, then in the ‘Regex Replace’ tab, click ‘Add’ to add the RegEx for what you want to replace. Once you’ve added all of the desired rules, you can test your rules in the ‘Test’ tab by entering a test URL in the space labeled ‘URL before rewriting’. The ‘URL after rewriting’ will be updated automatically according to your rules. If you wish to set a rule that all URLs are returned in lowercase, simply select ‘Lowercase discovered URLs’ in the ‘Options’ tab. This will remove any duplication by capitalized URLs in the crawl. 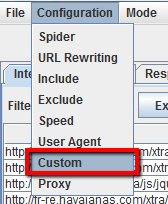 Remember that you’ll have to actually run the spider with these settings in order for the URL rewriting to occur. Generally speaking, competitors will try to spread link popularity and drive traffic to their most valuable pages by linking to them internally. Any SEO-minded competitor will probably also link to important pages from their company blog. Find your competitor’s prized pages by crawling their site, then sorting the ‘Internal’ tab by the ‘Inlinks’ column from highest to lowest, to see which pages have the most internal links. To view pages linked from your competitor’s blog, deselect ‘Check links outside folder’ in the Spider Configuration menu and crawl the blog folder/subdomain. Then, in the ‘External’ tab, filter your results using a search for the URL of the main domain. Scroll to the far right and sort the list by the ‘Inlinks’ column to see which pages are linked most often. Drag and drop columns to the left or right to improve your view of the data. 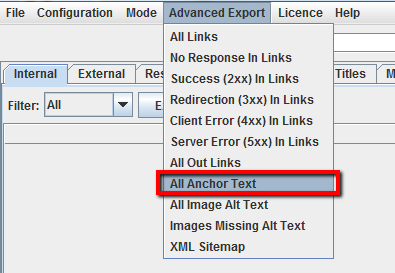 In the ‘Advanced Export’ menu, select ‘All Anchor Text’ to export a CSV containing all of the anchor text on the site, where it is used and what it’s linked to. After the spider has finished running, look at the ‘Meta Keywords’ tab to see any meta keywords found for each page. Sort by the ‘Meta Keyword 1’ column to alphabetize the list and visually separate the blank entries, or simply export the whole list. If you’ve scraped or otherwise come up with a list of URLs that needs to be vetted, you can upload and crawl them in ‘List’ mode to gather more information about the pages. When the spider is finished crawling, check for status codes in the ‘Response Codes’ tab, and review outbound links, link types, anchor text and nofollow directives in the ‘Out Links’ tab in the bottom window. This will give you an idea of what kinds of sites those pages link to and how. To review the ‘Out Links’ tab, be sure that your URL of interest is selected in the top window. Of course you’ll want to use a custom filter to determine whether or not those pages are linking to you already. You can also export the full list of out links by clicking on ‘All Out Links’ in the ‘Advanced Export Menu’. This will not only provide you with the links going to external sites, but it will also show all internal links on the individual pages in your list. For more great ideas for link building, check out these two awesome posts on link reclamation and using Link Prospector with Screaming Frog by SEER’s own @EthanLyon and @JHTScherck. So, you found a site that you would like a link from? Use Screaming Frog to find broken links on the desired page or on the site as a whole, then contact the site owner, suggesting your site as a replacement for the broken link where applicable, or just offer the broken link as a token of good will. 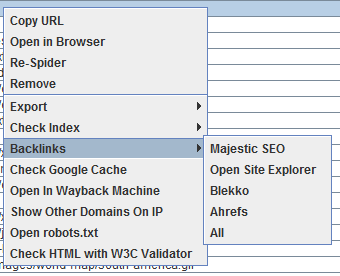 Upload your list of backlinks and run the spider in ‘List’ mode. 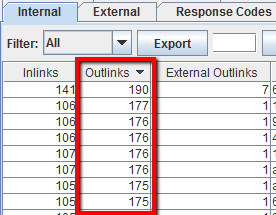 Then, export the full list of outbound links by clicking on ‘All Out Links’ in the ‘Advanced Export Menu’. This will provide you with the URLs and anchor text/alt text for all links on those pages. You can then use a filter on the ‘Destination’ column of the CSV to determine if your site is linked and what anchor text/alt text is included. @JustinRBriggs has a nice tidbit on checking infographic backlinks with Screaming Frog. Check out the other 17 link building tools that he mentioned, too. Want to figure out if a group of sites are linking to each other? Check out this tutorial on visualizing link networks using Screaming Frog and Fusion Tables by @EthanLyon. Set a custom filter that contains your root domain URL, then upload your list of backlinks and run the spider in ‘List’ mode. When the spider has finished crawling, select the ‘Custom’ tab to view all of the pages that are still linking to you. Did you know that by right-clicking on any URL in the top window of your results, you could do any of the following? Tell us what else you’ve discovered! In closing, I hope that this guide gives you a better idea of what Screaming Frog can do for you. It has saved me countless hours, so I hope that it helps you, too! By the way, I am not affiliated with Screaming Frog; I just think that it’s an awesome tool. Still nerding out on technical SEO? Aichlee Bushnell is a Seer alum. Follow her on Twitter!